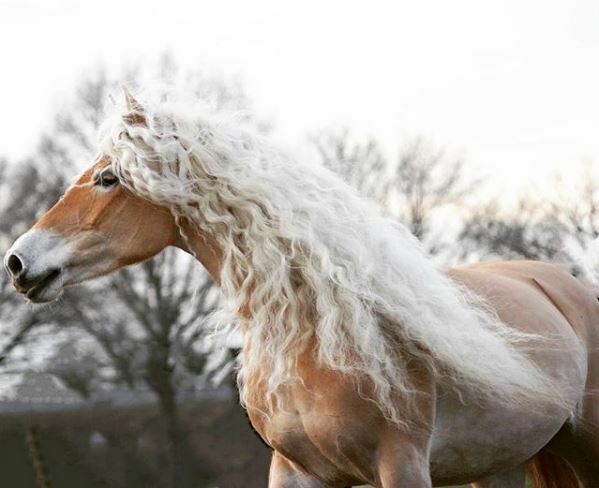 Haflinger horses are renowned for their long, beautiful hair, but Storm’s is longer than most. When she was about three years old she already had wavy locks that passed her shoulder and her owner decided to let the hair it grow even more, only braiding it for protection. Storm’s hair has kept growing over the last six years and today it measures over one meter in length, earning the nickname “Rapunzel”, after the famous children’s story character. You know who Storm reminds me of? Frederick the Great, aka the “Fabio of Horses”, a 17-year-old Friesian with equally gorgeous wavy hair, only black. Imagine if these two got together and made a baby, it would probably end up with the most incredible mane in the history of horses.